If you live with dogs, you know how tough rainy days can be. Keeping dogs entertained and finding a way to burn off some of their energy isn't easy when you are forced to stay inside and can't take them out for their daily walk. 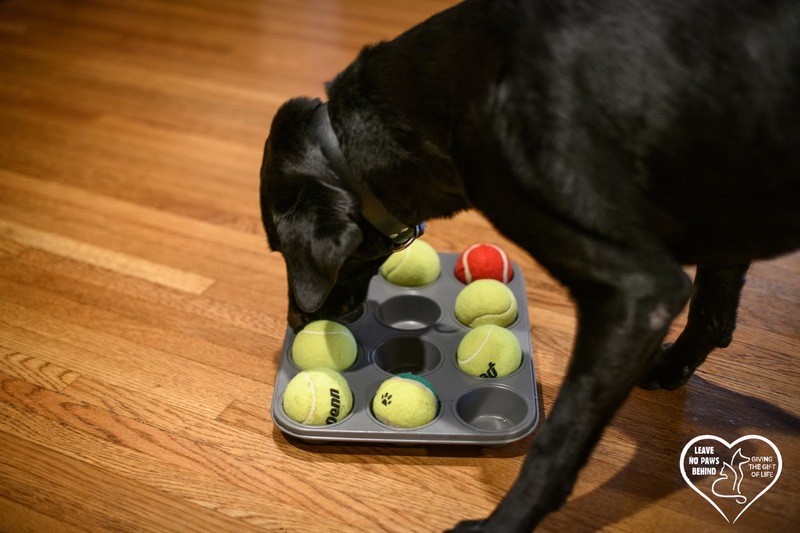 Here are a few ideas that you can try with your dogs the next time rain keeps you inside. One of the things I've learned over the years of living with dogs is that if they are using their brains, they seem to burn off more energy and get tired faster. 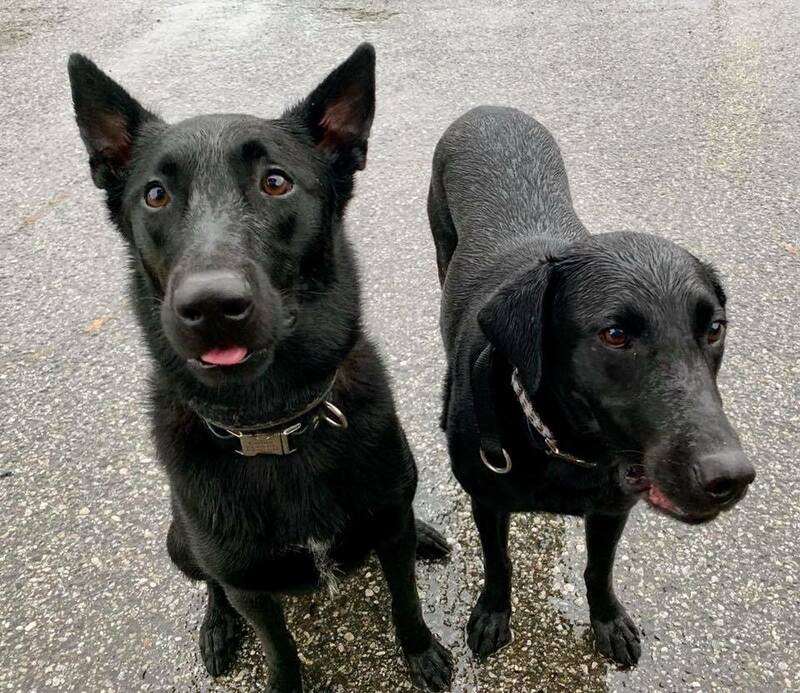 If you can't get outside to play fetch or go for a walk in the neighborhood, getting them to use their brains is a GREAT alternative. 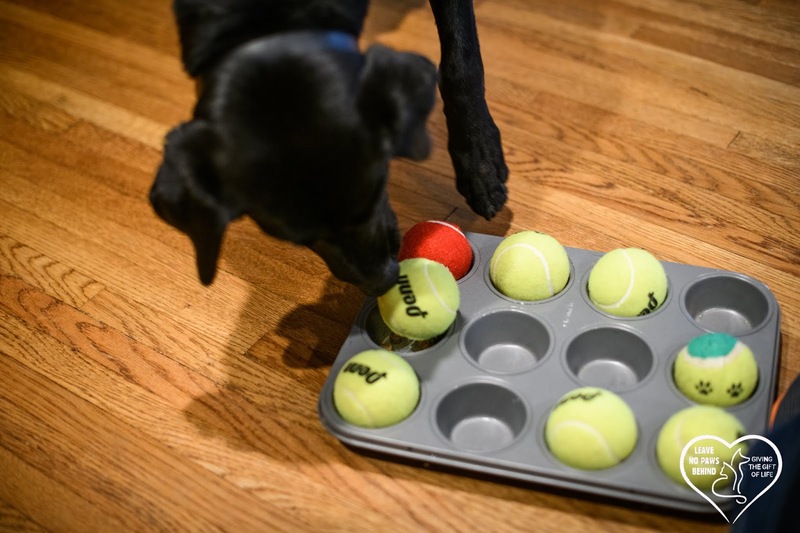 Several of the ideas below will make your pup think, and it's fun to watch them figure things out. Then see how exhausted they are when you are done. 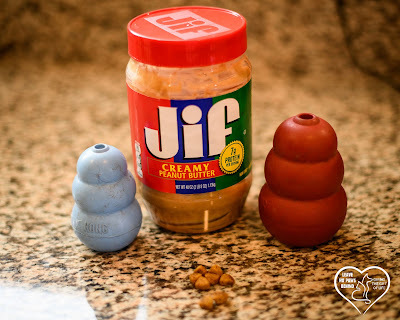 A great way to keep your dog busy on a rainy day is to stuff a Kong with kibble and peanut butter (only use a peanut butter that isn't sweetened with xylitol, as it is harmful to pets) or some of his favorite treats. You can freeze the Kong to make it last even longer as your dog works to get the kibble out of the Kong (or other similar toy). 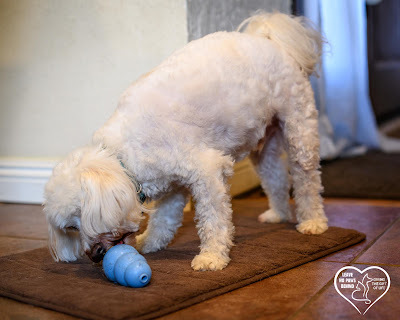 Kongs come in multiple sizes for dogs big and small. Yes, you can play hide and seek with your pet. This game is easier if you have 2 people, one to hide and one to hold the dog, but if your dog is good at stay it can be done with just one. 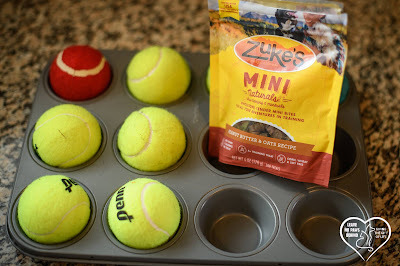 Take 2 of your dog's favorite treats. Give her a treat at the spot where the dog is going to wait while you hide, and take the other treat with you. You go and hide, and when you're hidden call your dog. They will have to use their nose to follow your scent and the scent of the treat to locate you. When they find you, give your dog the treat and celebrate! 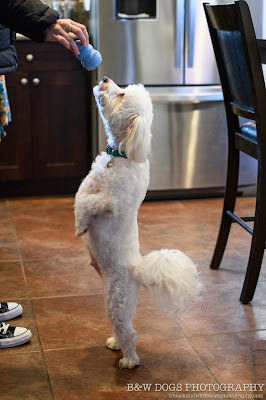 Rainy days are great for teaching your dog a trick. 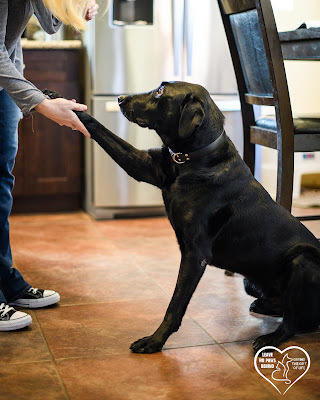 Teach them to shake, high five, play dead, or work on the basics like sit/down/stay. When you work on tricks or basics, remember to keep it fun for your dog, use lots of treats as rewards, and make sure that you always end on a positive note. If you are struggling with teaching something new to your dog, go back to something he knows and end the session with that. 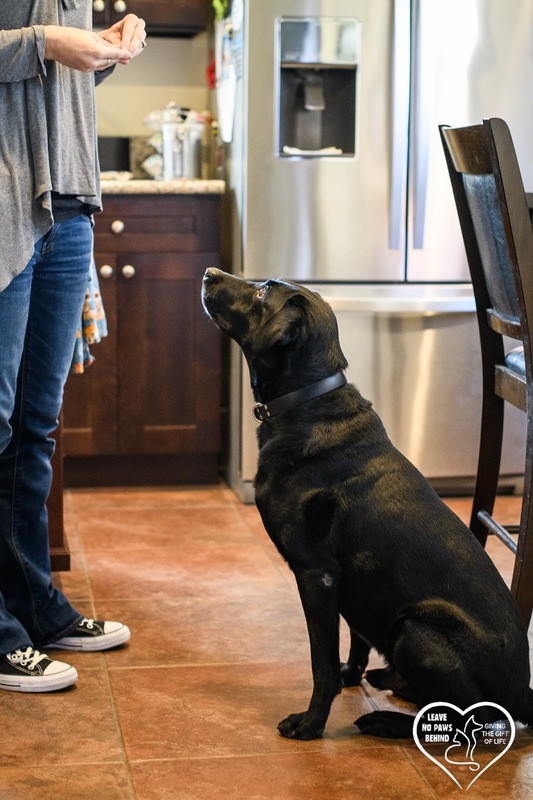 Hopefully these give you some ideas of things you can do with your dog on a rainy day. 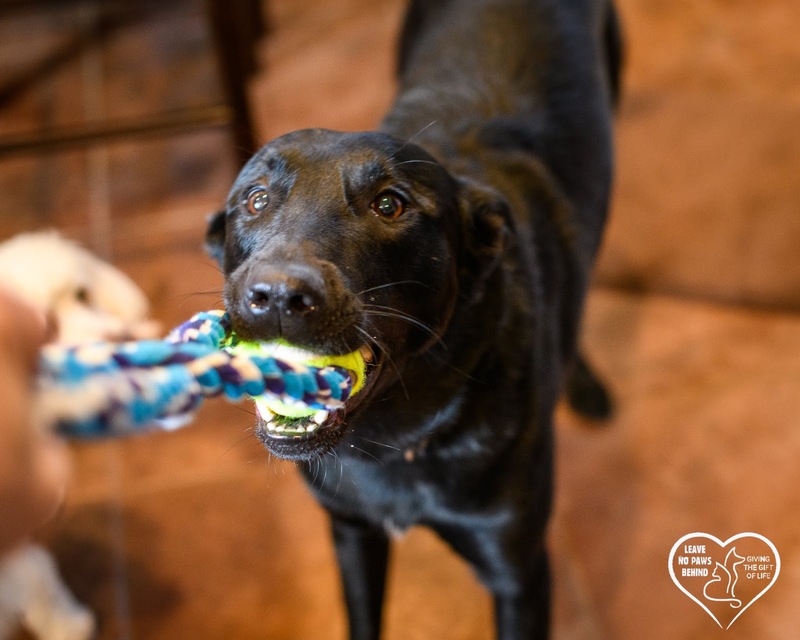 There are lots of other things too, like playing fetch in a long hallway, watching Marley & Me on the couch, or just snuggling in bed. Now there is no reason to let rainy days get you down.